ebay.comI think it’s amazing to see so many players get interested in older formats or even just the history of the game. 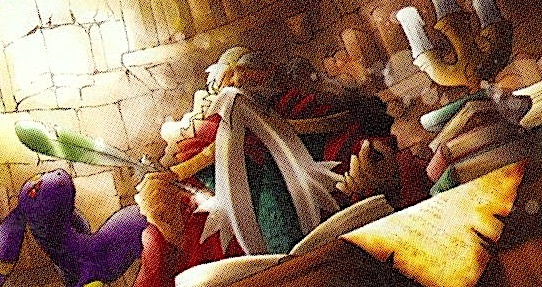 I’ve written several articles about popular old formats trying to give players format information, lists, and for us older players a walk down memory lane. I will admit my interest in writing these articles is a bit self-serving in the sense that it gives me a way to safely save my lists online and allows me to reminisce all at the same time. For this article I wanted to go back to 2004 when Nintendo first took over the game and my Pokémon journey really began. What I really enjoyed about the game in 2004 is the decks, the synergy, and the skill the format took. The format also leaves me with many great memories and a lot of nostalgia. I hope you enjoy the article and it leaves you with a better understanding of how the game looked when Nintendo first took over. Worlds 2004: Where it all began. As I’m writing this, I’m slowly realizing that this was 12 years ago and how far I’ve come in those years, both inside the game and outside of it. At the time I was only 14 years old and knew almost nothing about the game. I had played when the game first came out, but the fad had faded and it had been years since I had really played the game. However, my younger brother who was eight years younger than me would still play. One day he asked me if I wanted to go to a Pokémon tournament with him and he said that 1st place in each age division was a paid trip to Florida. I laughed a little bit that Pokémon, a game that I figured was all but dead (at least in our area), was handing out three paid trips (one for each division) to Florida. Little did I know that Nintendo had just taken over the game and — in an attempt to breathe new life into it — was handing out hundreds of paid trips through tournaments called Gym Challenges. The game was much smaller at the time and these tournaments would be comparable to our Cities now. They were basically winner-take-all tournaments with 1st place in each division getting the paid trip and 2nd place settling for 16 packs. My brother and I knew almost nothing about competitive Pokémon. I had some poorly-made deck built around the different Eevee evolutions, while my brother was playing a deck based around the new Team Aqua’s Walrein. Looking back, our decks were really not that great, but it was Iowa and nobody’s were. My little brother ended up going, I think, 3-0 to win his division while I ended up going 3-1 to win my division. The first three games were against the other players in my division while the last game I played up a division and was against William Hung (yes, the guy off American Idol). He played this Blaziken deck that just destroyed me. I didn’t even take a Prize against it — in fact, I think the record for the day was only 2 Prizes against him. Since I played up a division and William ended up 4-0, the loss didn’t hurt my overall record, but I was left in amazement of this mysterious Blaziken deck. The follow weeks had a few revelations for me, the first being this was all legit and my brother and I had just won paid trips to Florida to compete in the World Championships. The second was how little I actually knew about Pokémon and the format. As I did my best to do research, it was like I was waking up for the first time as I was learning about all of these different decks, tournaments, and a whole meta for a game I thought was dead. My brother and I spent the whole summer playtesting and getting ready for Worlds. I had decided on playing Blaziken largely due to getting crushed by it at the Gym Challenge, while my brother wanted to stick to his Team Aqua’s Walrein deck because he loved playing it. That summer playing Pokémon around the kitchen table brought my brother and me closer than ever before. It’s also the thing that I loved the most about this game. Looking back, I thought I had a good list for Blaziken, but in reality it was horrible. 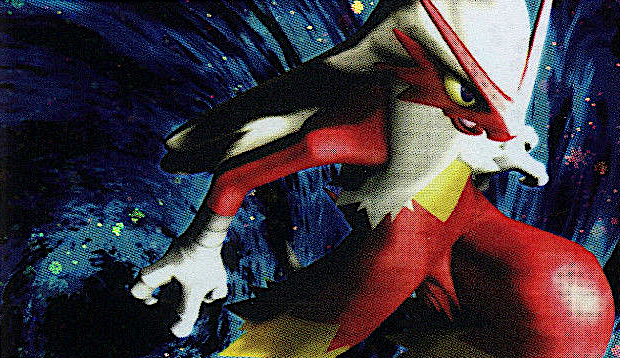 This was long before the game entered the Internet Age (but more on that later) and playing in such a low competitive area, I really had no chance to get a feel for what a good Blaziken deck looked like or test against other competitive decks in the format. Also, since I turned 15 just a couple of weeks after that Gym Challenge, it meant that I would be playing Worlds in the Masters division. I spent a lot of time thinking about how different everything over the last 12 years might have been had my birthday been just few weeks earlier. The few months leading up to Worlds went fast and before I knew it, we were off to Florida. I ended up doing horribly, but my little brother ended up making Top 16 in Juniors. My tournament performance aside, the experience was unbelievable. I was this 15-year-old kid who was traveling, meeting, and playing against kids my age from all over the world. I believe there were over 25 different countries that were being represented there. 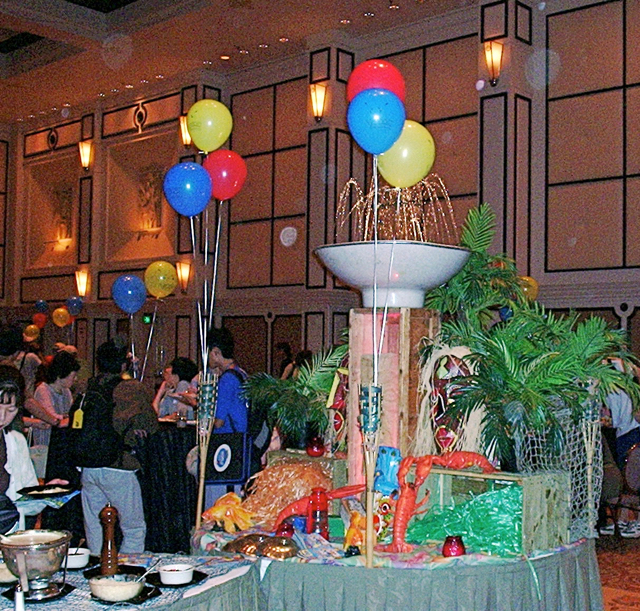 Nintendo put on this huge party with wall-to-wall food, ice sculptures, and entertainment. It was an unbelievably amazing experience for my brother and me especially considering how young we were. Not only were we both hooked, but we were both committed to trying to make it back the following year. Let’s draw from the oracle. I would love to take my knowledge, deck lists, and understanding of the format now and give it to myself in 2004. However, since that’s not possible, the next best thing is sharing them with all of you now with the hopes of giving you as good of a grasp on the game as I wish I had back then. First Turn Rules: The winner of the coin flip got to choose if they wanted to go first or second. The player going first didn’t get to draw a card to start their turn or play a Supporter, but they could attack. The player going second could do everything like normal. Synergy: One of the things I enjoyed the most about the 2004 format was how much synergy the format had. There were a lot of card combinations that worked well together, some of them obvious and others not so much. I also think it’s a great teaching format to get players looking for synergy in decks and cards. Pace: It’s important to understand that many of the early formats were considerably slower than the format we have now. There also were fewer ways to attack the Bench in any sort of meaningful way. This meant that very commonly the first few turns of a game were spent just setting up. Knowing the Bench was relatively safe also created stalemate situations where neither player wanted to put the first real threat into the Active position unless they had a better grasp on the board and could simply overwhelm the opponent. It was also very common to just keep attacking the opponent’s Active Pokémon with your Dunsparce trying to force the first knockout and the first real threat up. Bench Planning: Bench space was very tight in this time and heading into any game you wanted to know what 5 Pokémon you were going to have benched — usually 2 support Pokémon and 3 main attackers. There was no “well I’ll bench it because it’s in my hand” mentality. Consistency: Back in this day there was such a large skill gap between players that a great player had the highest odds of success by just running a very smooth, consistent list. Almost all of my lists were built with the idea that consistently setting up every game is more important than having an incredibly teched out list. Techs: While I’m adamantly against over-teching lists, little techs made big differences in this format. When rebuilding this format, my goal was to build decks that would be evenly matched with each other and be very well rounded. I wasn’t building them for a specific meta or to counter a specific deck. There are a lot of things you can do for example to say have a better Swampert matchup, but it would end up hurting your matchup against Team Magma. Card Counting: No, I’m not talking about card counting like in Vegas or anything underhanded. In Pokémon, card counting refers to keeping track of how many copies of a card the opponent has played in a best-of-three series and also using this information to try and figure out the opponent’s list. When a player has multiple options on how to proceed, taking their turn figuring out or attempting to figure out what cards the opponent plays can help a player make the right decision. For example, let’s say that I know a standard Blaziken plays 2 Rayquaza ex, however I learn that my opponent is playing 3 Rayquaza ex. It’s going to be pretty safe for me to infer they probably play 3 switching cards (most likely 2 Switch/1 Warp Point or just 3 Switch) or perhaps even 4 switching cards. He also probably plays Team Aqua’s Manectric over other options for his tech spot. His Energy lineup is probably heavier on Multi Energy and Lightning Energy. This means he probably either plays few Fire Energy or a higher Energy count in general. Inferring all of these things allows me to go back to a “standard” Blaziken deck and try to figure out what my opponent cut to make room for these changes. Was it Pokémon techs, Energy, or consistency cards? As the game progresses and I get more information such as my opponent benching an Oddish; I’m then able to go back and reevaluate the situation and have a better idea what my opponent’s deck looks like. Figuring out certain card counts are absolutely huge in this format. Knowing the opponent is out of Switch, Pokémon Reversal, etc. or what techs they play can have a HUGE impact on how you play the game. This is why I also encourage players, once they get the hang of the format, to really start switching things up and teching decks differently without telling their testing partners what they changed. The Internet Age: For newer players, the biggest thing to realize is that in 2004 Pokémon didn’t have an “Internet Age.” Pokémon decks and deck building were extremely closely guarded secrets. Decks were usually developed within teams/friends and never left the group. Players all wanted to protect that competitive advantage. With events being so small and the prizes so huge, the odds of playing against somebody you knew or saw at League was incredibly high. It was nearly impossible to go online and find any sort of good list or good players who were willing to give out their secrets. While this may sound off-putting to players who are used to free-flowing information, in a way it was also very refreshing and it certainly fostered many close friendships. There was no way around putting the work into perfecting a deck. Pokémon is what really brought my brother and me together and I still remember sitting around the kitchen table for hours playtesting and working on decks. I remember feeling a real sense of pride and accomplishment when we finally felt like we had perfected a list. These early years of hard work, testing, and searching for synergy are what helped make me a great deck builder later on in formats where I feel players have gotten much lazier. I really don’t know if I had such easy access to lists if my brother and I would have bonded as much or if my deck building in later years would have been the same. The other great thing about not having the Internet Age was that lists would vary greatly. Even mirror matches could vary by 10 or even 15 cards. There was a lot of uncertainty about the opponent’s list and that fueled a lot of skill by forcing players to deal with unknown obstacles. Numerous decks pounced for Delcatty. Many decks in this format played similar set-up and consistency cards. Instead of breaking these down in every single deck section, I think it makes a lot more sense to do one general strategy section. 4 Dunsparce SS: Almost every deck in this format played 4 Dunsparce since it brought so much consistency. Grabbing 3 Basics turn 1 not only thinned decks out, but also allowed a player to start evolving turn 2. The second attack Sudden Flash allowed players to “go aggressive with Dunsparce” in the early game trying to secure the first Prize with a throwaway attacker or be used as a Hail Mary play in the mid or late game to buy a turn. Sudden Flash had huge impacts on many games in this format. 2-2 Delcatty RS 5: Delcatty was the main draw engine of almost every set-up deck at the time. The ability to draw 3 straight cards every turn brought a lot of consistency to decks and also combined well with other cards in the format. Delcatty only being a Stage 1 made it easy and consistent to set up. Depending on the deck, the Delcatty line would vary from 1-1 to 3-3 with 2-2 being the standard. There really wasn’t much Bench hate in the format and 2-2 was consistent because it made it unlikely to prize both copies of Skitty or Delcatty. It also slightly increased your chance of drawing into them. Normally you would never set up more than 1 copy on your Bench due to space. 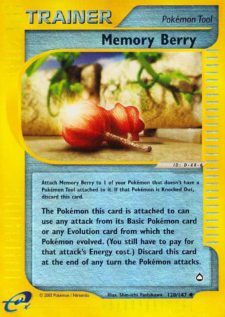 For the Skitty, the most common one was RS 44, but occasionally the Sandstorm one would see play for the extra 10 Hit Points. The format was so slow the extra 10 HP rarely mattered and the grabbing 2 basic Energy was actually really good. You also had the Sleep attack available if you got in a real bind. 2-2 Magneton DR 17: The synergy between Magneton and Delcatty is pretty clear. Every turn you could get Energy back with Magneton and then turn around and discard it with Delcatty to draw 3 cards. Going beyond this, Magneton helps to guarantee an Energy attachment for the turn. Players often forget that Energy acceleration is kind of pointless if you’re still missing your turn attachment. Typically, Magneton was played in a 2-2 line for consistency purposes, but some decks got away with a 1-1 line due to space or due to their deck not heavily relying on it. Which Magnemite you play is really personal preference with the main two candidates being 62 or 63 from the Dragon set. I prefer Thundershock just for the bail-out Paralyze flip, but Random Spark can be good if you’re playing a deck where that 10 damage snipe matters. The deciding factor for me was most of my lists play low counts of Lightning and Multi Energy so the odds of opening Magnemite, having the Energy, and wanting to attack with Magnemite are low. The far more common situation is being forced to late-game Magnemite in which case things probably aren’t going great and the Paralyze flip would mean more. 1-0-1 Bellossom HL: In my mind Chris Fulop largely popularized this tech, but he gives credit to Drew Holton and Tom Dolezal for the idea and it served a couple of different purposes. Starting off, it turned your Walrein matchup (a deck that received a lot of hype) into a near auto-win. The deck just had no real way to deal with the -30 Resistance to Water and the 20 heal every turn. Second, it was a pseudo counter to Desert Ruins with the ability to remove the 20 damage a Pokémon-ex would incur from the Stadium. This also allowed decks a more versatile option than playing subpar Stadiums. Lastly, healing 20 damage in this age was actually a lot with Pokémon putting out considerably less damage. It wasn’t uncommon to turn 2HKOs into 3HKOs with a well-timed Heal Dance. Oracle: Oracle let you put any 2 cards from your deck on top of your deck, and in combination with Delcatty this allowed you to straight draw the cards. If it was early in the game and you didn’t have a Delcatty in play, you could choose Steven’s Advice and another card, placing the Steven’s on top. It was a great consistency card, but not overly broken because it required Delcatty and an Energy in hand to really take advantage of it. This in some ways made the card “slow” and it was only really able to be played in combination with Delcatty. Most Delcatty decks played 3 or 4 copies of the card and decks that didn’t play Delcatty might play 0 to 3. Copycat: Since there was very little hand disruption at the time and decks relied heavily on Delcatty, in general hand sizes would be relatively large. It would not be uncommon to be able to Copycat for 10 or more. Steven’s Advice: With Dunsparce being a staple in most decks and the format being slower, it was common that both players filled their Benches. This made it very easy to net a full 6 cards off of Steven’s Advice. Sure, it was useless if you had a really large hand, but at that point you probably didn’t need to play it as badly. Friend Ball: In my opinion Friend Ball was one of the most underplayed cards at the time. Many of the top decks in the format used so many different types of Pokémon that you almost always had a good target for the card. This doesn’t even begin to explain how good the card was in any sort of mirror match. It’s just an all-around really solid card to play as a 1- or 2-of in a deck. Desert Shaman: Hand disruption was incredibly rare in this format, so I like to include at least 1 copy in most of my decks. It wasn’t super effective at actually controlling the opponent because most decks of the time relied on the Delcatty/Magneton engine and could draw right out of it regardless of the 4 cards they got. Occasionally you could play a Desert Shaman and then nail a Magneton or Delcatty afterwards with a Volcanic Ash or Pokémon Reversal. However, in most situations though, you just wanted to go after your opponent’s threats and not their support Pokémon. Sometimes the 4-card hand off of Desert Shaman before taking a key knockout was enough to make it hard for them to have a strong follow-up play on their turn. Switch/Warp Point: Both served the purpose of switching your Pokémon out of the Active spot, but deciding on which to play then comes down to whether you also want to switch your opponent’s Active Pokémon as well. Deciding which to play or even how many might not seem like a big deal, but this decision can decide games. At the time a lot of discussion went into just these two cards. Ideally, you would have room to play a 1-1 split; however sometimes it was better to play a 2-0 split or a 2-1 split. It’s important to consider whether your deck is more interested in hitting the opponent’s Active Pokémon or stealing a Prize off the Bench. Beyond that, the best advice I can give you is do your own testing and see what you prefer and in which lists. Pokémon Reversal: At the time there was no consistent way to hit the Bench, so being able to on a flip was actually really strong and in my opinion very balanced. I don’t think I’d say Pokémon Reversal was a staple in any deck, but it certainly wasn’t uncommon to see it pop up at 2 or 3 copies in any major archetype. For highly aggressive decks like Team Magma, it wasn’t uncommon to see 3 or even 4 copies of the card. ATM Rock: Heading into Worlds, ATM Rock had a ton of hype behind it and was a very common 1-of or even 2-of in a lot of decks. Personally, I never really liked the card outside of decks that had some way to damage the Bench. Players were so careful to play around the card it was really hard to catch players in a horrid situation. However, it is one of those cards where a great ATM Rock can singlehandedly win the game. It’s a great tech choice and worth testing in this format. The one that had it all. The strategy behind Blaziken was to get a ton of Energy in play and then do a ton of damage to the opponent. While that was the general strategy, perhaps I’m over-simplifying the deck. What drew a lot of players to it, myself included, was not only the deck’s raw strength, but the magnitude of options the deck could have. You had Energy acceleration, you had a Bench hitter, you had 1HKO potential, great aggressive plays, great counter plays, and Pokémon that covered each other’s Weaknesses. It was a really well-rounded deck that was just a blast to play. You want to set up multiple copies of Firestarter Blaziken and then rely on that Energy acceleration to overpower the opponent. In most games your main attackers were just Blaziken ex and Firestarter Blaziken, while Rayquaza ex served as an easy 1HKO option for any large threat the opponent may be able to put up. The rest of the deck is filled out with situational attackers like Magneton, Bellossom, and yes even Delcatty. One of the things I really loved about Blaziken was how many different options the deck had. You would usually go into a matchup with a particular strategy, but that could switch depending on the how game went or the direction the opponent took you. 1 Rayquaza ex: I prefer just a single copy of Rayquaza ex due to how situational the card was. Plus if I wanted to play the card in higher counts, I’d really have to go back through and look at both my Energy lineup and Trainer lineup to see if I needed to play more switching cards or Lightning Energy. To me it’s just not worth it since in most games you only need one good Rayquaza anyway. 2 Multi Energy: Multi Energy was in the deck to combo with Rayquaza ex. Since Multi Energy counted as Energy of every kind, you had to discard with Dragon Burst. For example, if I had 2 Fire and 1 Multi on Rayquaza ex then I would discard all 3 for 120 damage. The Multi Energy just made hitting numbers much easier. 2nd Rayquaza ex: The numbers on Rayquaza ex at the time ranged from 1 to 3 depending on how the players wanted to build the list. The problem with Rayquaza ex is that it’s incredibly setup dependent and very hard to use multiple turns in a row. 1-1 Team Aqua’s Manectric MA 4: The strategy was to use Firestarter to put Fire Energy on TA Manectric and then use its Poké-Power to push those Energy onto the Active Pokémon. This allowed multiple turns of Volcanic Ash or Dragon Burst without having to find a way to get the Pokémon back to the Bench. 1 Ditto SK: When Adam and I were putting the finishing touches on this article he brought up how Skyridge Ditto received some attention as a non-ex answer to Rayquaza-ex in the Blaziken mirror. At the time this was a really strong tech since a lot of Blaziken decks were running 2 or 3 Rayquaza. However, as more people tested the format and new information came to light, the emphasis on Rayquaza-ex dropped and decks started relying on just 1 or 2 copies. The Blaziken mirror match started revolving around Blaziken-ex far more than Rayquaza-ex. 1 Pokémon Nurse: It’s pretty easy to see the upsides of healing all damage off one of your Pokémon. Fulop found a lot of success with this card in several of his games at Worlds that year. However, in all of my testing I just never found any situations where the card really won me the game. I ended up cutting it for a 2nd Friend Ball to add more consistency to the deck. My list borrows very heavily from Chris Fulop and Drew Holton. I couldn’t find Drew’s tournament report anywhere, but here is Chris’s (and his deck list). I’d also really like to thank Chris Fulop for answering some of the questions I was uncertain of as I was working on this article. He really helped me make sure I got a lot of the details right. 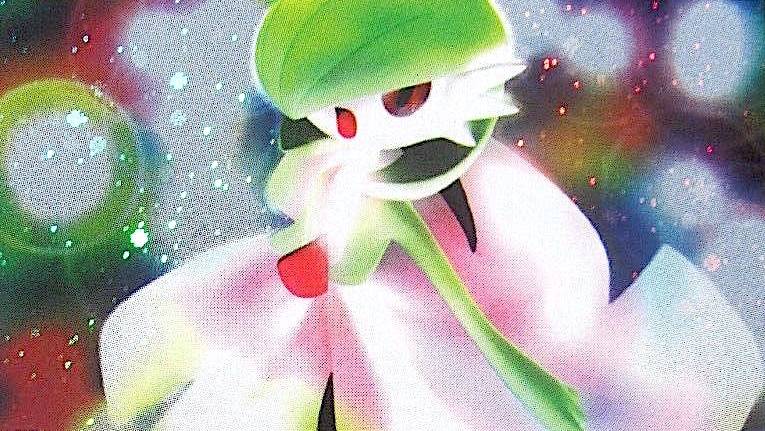 Gardevoir was a deck that relied on manipulating Energy to do high amounts of damage. The thing I enjoyed about Gardevoir is there was a lot of thinking not only playing with the deck, but playing against the deck. It was key to watch how many Energy you had in play and the size of your hand. Minor misplays could come up really hurting you. While the deck was capable of making great aggressive plays, it excelled at making strong counter plays, like letting the opponent throw up a big attacker only to have it swept off the board by a huge Psystorm. The general strategy was just to get a bunch of Energy in play so it was very important to try and get a manual attachment every turn. Beyond that, set up multiple Gardevoirs and simply try to overpower the opponent. The deck takes some thinking and some getting used to for knowing when to Psy Shadow and when not to, where to drop your Energy, etc. Beyond having a good grasp of the deck, good Gardevoir players need to be able to have a strong grasp on the rest of the format. To play the deck well, it’s essential to understand where your opponent is going to drop their Energy and what options they have available to them. 1 Town Volunteers: Not only did Town Volunteers allow you to get back key Pokémon, it also allowed you to put basic Energy back into your deck. In the later game, it’s not uncommon to run out of Psychic Energy to Psy Shadow for, and being able to return some from your discard pile to your deck was huge. The card also allowed Gardevoir to get away with playing thinner Pokémon lines than it might have had to. Some players favor 3 Psy Shadow Gardevoir and others favor 3 Gardevoir ex, however the general consensus was it was much easier just to play a 2-2 split with a Town Volunteers. 4 Boost Energy: Every big attacker in the deck does damage based around an amount of Energy. This includes even support Pokémon like Magneton and Delcatty. 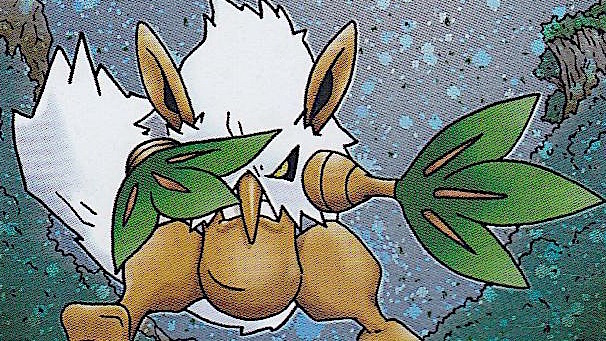 Boost Energy can be helpful in paying for attacks, but in many cases it acted as a triple PlusPower. Pokémon Reversal: Another strong card for Gardevoir because it allows the deck to pick off weak cards on the Bench or bring up something with Energy for the knockout. Weakness Guard: Solid tech choice for the mirror matchup. Magnetic Storm: Psychic Resistance wasn’t uncommon at the time and the -30 damage was a lot for the deck to overcome. Magnetic Storm acted as a way to bypass Resistance and as a Desert Ruins counter. Crystal Shard: Another easy way to bypass Resistance for an attack or make knocking out Rayquaza ex much easier. 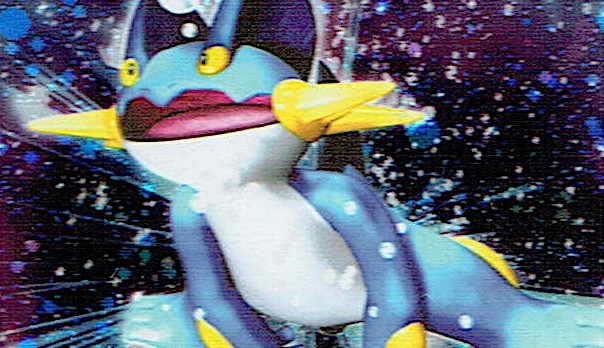 What made Swampert such a strong deck was how well rounded the deck was. It has Energy acceleration, great type coverage, Energy manipulation, and it was able to hit perfect math and amazing rebounds. Swampert ex was also a powerhouse for very low Energy costs and could easily go on the aggressive before the opponent was ready to deal with it. The basic idea was to go aggressive with Swampert ex, while the rest of the Pokémon in the deck made great counter-attackers. Since Swampert could only attach to the Active Pokémon, planning out your Energy attachments was key. You might have to plan a turn ahead for plays like attaching a Water Energy to Suicune ex so on the following turn you can bring it Active and manually attach a Water Energy and then use Swampert to attach a 3rd Energy so you can attack. 2 Swampert: Since Swampert wasn’t that great of an attacker, it’s normally just a Bench-sitter, making 2 copies fine. 2 Swampert ex: Even though the 2-2 line looks thin, it’s always played very well for me. It wasn’t uncommon for people to play 3 Swampert ex though. 1 Town Volunteers: The thinner Pokémon lines and a large number of 1-of’s makes Town Volunteers a needed addition to the deck. 1 Crystal Shard: Like myself, the first time people read Crystal Shard they instantly think the card is bad. Turning one of your Pokémon Colorless for a turn seems pretty pointless, but it served two key purposes. First, it allowed the deck to get around Resistance for a turn. Water and Fighting Resistance were actually quite common in this day and age so being able to bypass it allowed for unexpected KOs. Second, it allowed the deck to have an easy answer to Rayquaza ex. It turned an attack from -30 damage (Rayquaza ex was F/W resistant) to ×2 damage since it was Colorless weak. 1-0-1 Bellossom: I really like Bellossom in everything in this format, but the problem is Swampert has a lot of other techs that go great with the deck as well, such as Wobbuffet and Suicune ex. While Bellossom is a very reactive tech, both Wobbuffet and Suicune ex are very active techs that can help a lot of matchups. 2nd/3rd Crystal Shard: The number of Crystal Shard the deck should be playing is equal to the number of Rayquaza ex you’re expecting Blaziken to play. I would say for the time period 2 copies was standard. 2/3 Pokémon Reversal: Pokémon Reversal is such a strong card for the deck because it allows the deck to snipe off Bench-sitters like Blaziken or Gardevoir. It also allows the deck to deal with threats before they become too big. Swampert is one of my decks that I feel I could play around quite a bit with different techs to try and get more of an advantage against Gardevoir and Blaziken. In my opinion, the deck was very well rounded, but didn’t excel at anything that Gardevoir or Blaziken didn’t do better. The real strength of the deck was its ability to more easily tech for matchups than other decks could. Team Magma was the first big secret deck in the game and really started the idolizing of the Japanese players. At the time the Japanese were seen as these mysterious and unbeatable players. The Team Magma deck was their favored deck for the tournament and was viewed just as mysterious and unbeatable. After the Team Magma vs Team Aqua set dropped several months before Worlds, players in the United States really tried building and testing the deck. However, our lists were all based around Team Magma’s Aggron. The deck in general was subpar to the other powerhouses of the time and Team Magma Pokémon found their home in US trade binders. When Worlds rolled around and the Japanese players were heavily trading for Team Magma stuff just before the Grinders, the US players couldn’t unload it fast enough. The US felt like they were dumping garbage cards for great trades, however that feeling quickly changed when the Grinders began. The Japanese players and their Team Magma deck took many top spots at the Grinders including Yamato who went a perfect 7-0 with ease piloting the deck. So what does this mysterious Team Magma deck look like? Well, let’s take a look. My list is only a couple of cards off from Tsuguyoshi Yamato’s winning list. The format itself is extremely slow, and as I’ve talked about with the other decks, it was very common to spend the first few turns of the game setting up. Team Magma on the other hand had the idea to go super aggressive straight from the start and overwhelm the opponent before they knew what hit them. What I feel makes Team Magma so strong is that it can put a ton of early pressure on the opponent before they set up, but it can also compete with decks once they do. Another big thing Team Magma has going for it was the deck had excellent type coverage against the field. It played Fighting, Colorless, Fire, and Psychic Pokémon which are about the best types in the game as far as covering Weakness. Lastly, the deck got by with an extremely thin Pokémon count at the time playing just 15 Pokémon compared to many other decks at the time in the 20-25 range. This allows a lot of great disruption cards in the Trainer lineup like Pokémon Reversal, Desert Ruins, and Mr. Briney’s Compassion. 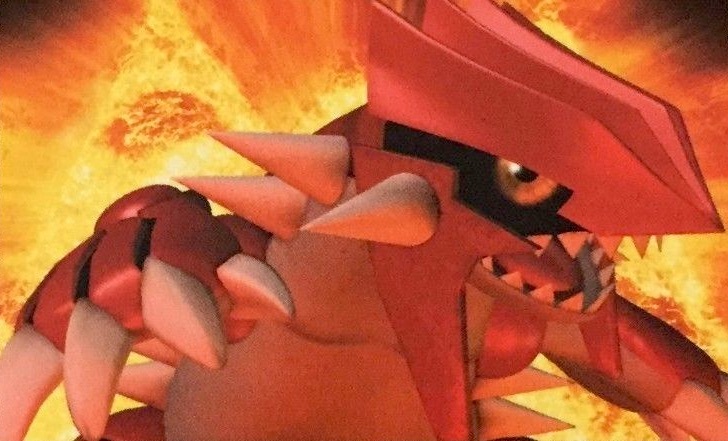 As for playing the deck, the general strategy was to go aggressive with TM Groudon or TM Zangoose at the start of the game. They were the two main attackers for the deck and where a majority of your opponents’ 6 Prizes were going to come from, but taking 6 Prizes against a Team Magma deck is much easier said than done. TM Claydol and TM Camperupt were the support Pokémon in the deck and also made great backup/type advantage attackers in a pinch. The general combo was to get an Energy back with TM Camperupt and then move it with Claydol to wherever you need it. Maxie made it a little easier getting either of them in play without bothering with that pesky evolving. 3 TV Reporter: The first purpose TV Reporter served was giving the deck some reliable straight draw power. It wasn’t uncommon for the deck to get relatively large hands which at times made Steven’s Advice unplayable. The second purpose was it allowed you to discard a card which benefited the deck in several ways. You could discard an Energy for TM Camerupt, you could discard a TM Camerupt or a TM Claydol for a Maxie target, or you could discard a dead card you just didn’t want the possibility of drawing again if the opponent was to play a Desert Shaman. 3 Underground Expedition: This card saw almost no play in the United States in really any deck, but it was largely favored by the Japanese. It just didn’t feel like “Team Magma” without including it. Sentimental reasons aside, getting to add 2 free cards to your hand out of 4 isn’t bad at all. 2 Mr. Briney’s Compassion: This was another card that just didn’t see a ton of play at the time mainly because it really didn’t mesh well with decks that played Pokémon-ex. It was a great defensive card for Team Magma decks that allowed the deck to deny the opponent knockouts. It could also be used as a switching card in a pinch. 3 Desert Ruins: Nearly every major deck in the format played Pokémon-ex and those that didn’t had absolutely no reason not to play Desert Ruins. If you could stick a Desert Ruins in play, the Stadium could singlehandedly take down Pokémon-ex, but even if you couldn’t stick it, it did help you hit magic numbers more easily. 4 Magma Energy: What Magma Energy brought to the deck is a great amount of speed for already fast Basic Pokémon. It let you very quickly jump ahead and use powerful attacks out of nowhere. Even though you had to discard it at the end of the turn, playing it usually resulted in getting a Prize. 16 Energy: The deck plays a much higher Energy count than most other decks of the format. The reasoning behind this is since the deck needs to be aggressive it’s key to get your manual Energy attachment down every turn. Also Magma Energy doesn’t count as an attachment since it’s discarded at the end of the turn, so it’s important to be able to hit other attachments. 4th Pokémon Reversal: There is rarely a point in the game where Pokémon Reversal is a bad card and a 4th copy would be a solid addition to the deck. 4th Desert Ruins: I don’t necessary feel the 4th copy is needed, but it would increase your chance of drawing it early, often, and making sure it sticks in play. Team Magma did extremely well at Worlds in 2004 and was seen as a large favorite against basically everything. However, going back and replaying the format now, things have changed a bit for Team Magma. Starting off, a huge strength of the deck was its surprise factor; by the time players figured out how the deck worked they had already lost. Now that everybody knows how the deck works and what the deck list looks like, this advantage is pretty clearly lost. Second, the deck has a very tough time dealing with Bellossom, which wasn’t very common at the time, but is extremely common in my lists. Team Magma relies on getting 1HKOs in the early game while the opponent attempts to set up, but is then forced to settle for 2HKOs in the later game against larger threats. Bellossom can force these 2HKOs into 3HKOs, which makes it incredibly hard for Team Magma to close a game out. The Grass type advantage that Bellossom has over the decks main attacker, TM Groudon, doesn’t help situation either. Lastly, the deck did amazing at taking advantage of less than consistent lists that were all too common at the time. Even a small misstep in consistency would allow a Team Magma deck to overwhelm the opponent. Walrein was a deck that received a lot of hype around Worlds this year, but if I remember right it only saw a little bit of play. I never actually built or tested the deck, but I was able to snag Kyle “Pooka” Sucevich’s list from his Top 16 report. The main strategy of the deck was to set up multiple Walreins and accelerate Energy into play through a combination of its Poké-Power and Oracle, or just by sheer luck of hitting an Energy off the top. The advantages of the deck were its type advantage over Blaziken, its built-in Energy acceleration, its ability to make opponents miss attacks, and its built-in healing. The downsides of the deck were consistency issues and it had an incredibly tough time playing around Bellossom. 2 Crystal Shard: Pretty standard tech choice since otherwise Kyle had no way to deal with Rayquaza ex. 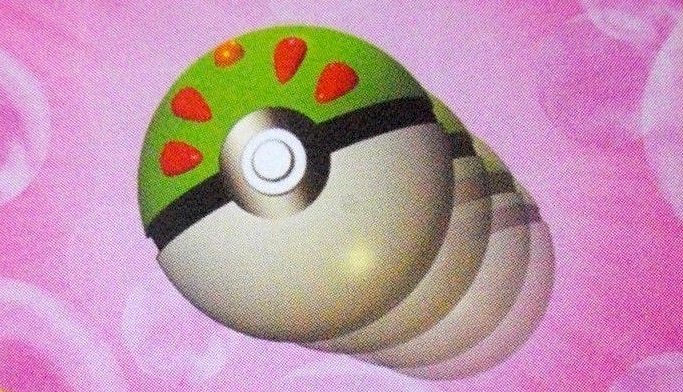 Could also be used to play around a Bellossom or other Water Resistance in a pinch. 1 ATM Rock: I personally am not a huge fan of ATM Rock in the deck since Walrein can’t really take advantage of it in anyway special. However, it was a common tech choice back in the day. 1 Fast Ball: Kyle made note in his report how great he found Fast Ball, even though to me it doesn’t look great on paper. Since Kyle only plays three different Evolutions (Sealeo, Walrein, and Milotic) he has a decent chance to hit what he wants to. 14 Water Energy: You notice Kyle played a very high Water Energy count not only so he was more likely to hit his manual attachment, but also to increase his odds of hitting a blind Crush Draw. 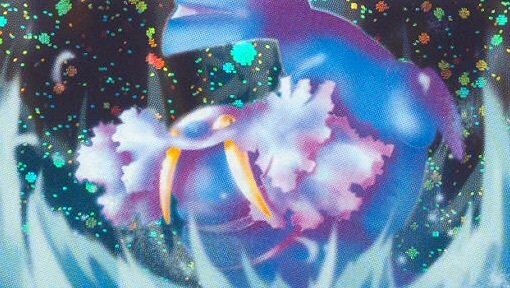 2 Double Rainbow Energy: The 2 Double Rainbow Energy were in the deck for Walrein but were more commonly used on Milotic. I actually got the chance to play some format games with Kyle at Worlds a few years ago. When he brought out his Walrein deck, he made a few changes to it to better help him deal with Bellossom. Kyle was kind enough to share those changes with me. 2 Pokémon Reversal: This was a tech card that Kyle mentioned in his report that he would have liked to try and find room for in the list. Like I talked about earlier in the article, I don’t have much experience with the deck, but I might have wanted to test an engine that incorporated Delcatty and Magneton. It just seems like a more consistent route to go with the deck. Shiftry was another deck that received a lot hype coming into Worlds. It was represented more heavily in the meta than Walrein ended up being. The big thing that affected Shiftry’s representation though was how well Team Magma decks did in the Grinders. Many players had come to the event planning on playing Shiftry (Chris Fulop comes to mind) only to make a complete switch after watching the Grinders. Despite the Fighting Weakness, Shiftry had a lot of things going for it that makes it a strong call in this meta. It could take advantage of Dark Energy, had a great Psychic Resistance, a disruptive attack, and could hit for some great numbers. Despite the horrid Team Magma matchup, I found the deck to be very even against the rest of the field. The base list I started with was also provided to me by Kyle Sucevich, and then after some testing I made a couple of minor changes. The biggest one was splitting the Furret line and adding a 1-1 Magneton. I hate playing Delcatty without Magneton and even with just 4 basic Energy, I think Magneton is a solid addition to the deck. I also dropped an ATM Rock for a Boost Energy and then I swapped out an Oracle for a Steven’s Advice. The basic strategy of Shiftry was to match hand sizes with the opponent so that HL Shiftry could hit for 80 damage. Since Supernatural Power took 3 Colorless Energy, it could be paid for in a variety of ways including Boost Energy, Double Rainbow Energy, or even Double Rainbow Energy and Special Darkness to cancel each other out. Beyond that, the deck had some disruption with HL Shiftry’s first attack Push Aside or SS Shiftry’s Poké-Power Fan Away. 1-1 Furret AQ: Outside of Shiftry, you never really saw Furret at a competitive level. However, what Furret helped do was not only search out key Special Energy cards like Boost, DRE, or Special Dark Energy, it also allowed you to put 2 cards back into your deck to search out an Energy or you could fail it and grab nothing. This just gave you another tool for matching hand sizes. 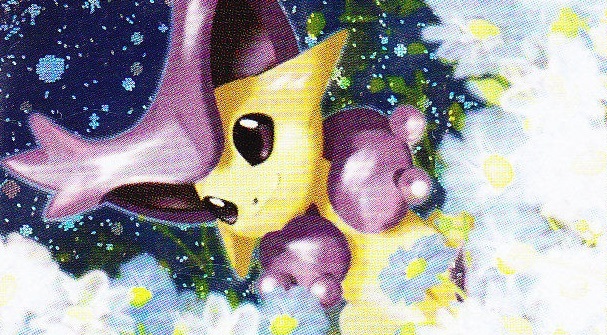 Pokémon Reversal: Pokémon Reversal is just a great card in general, but in decks like Shiftry with a lot of burst potential, it can help make really huge plays. My brother and I actually played a lot of the 2004 format in later years and while I’d confidently give any of our lists to either of our younger selves to play at Worlds that year, I can’t claim they are completely representative of the format. Many of them take advantage of hindsight and the Internet Age that players at the time just simply didn’t have access to. 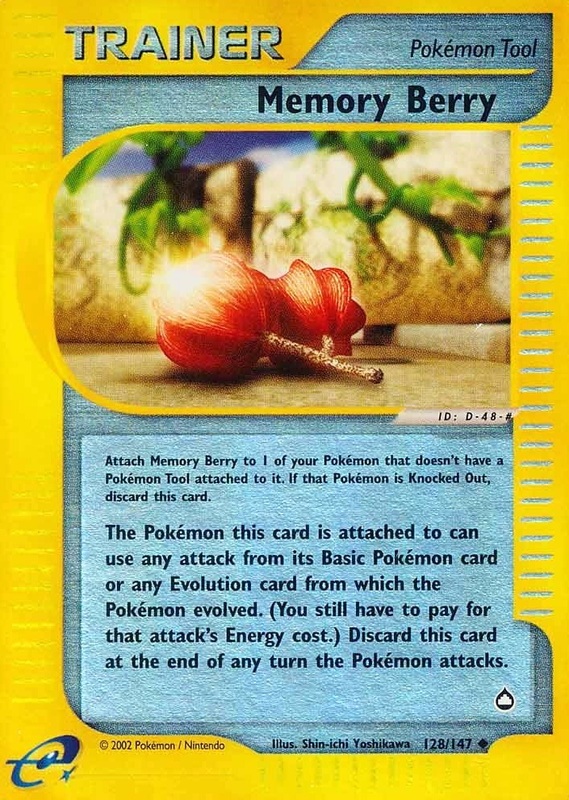 Great examples of this are cards like Bellossom and Friend Ball which are very common in my lists, but weren’t popular at the time. I also placed a much higher emphasis on consistency than players did at the time. This comes a lot from my personal background and personal style of building decks. 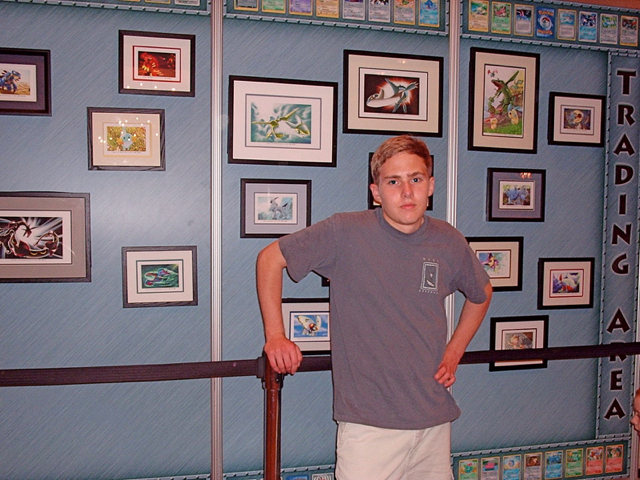 While I’ll say this will be the most comprehensive article on the 2004 format you’ll find, I encourage people to scour PokéGym or PokéBeach for old tournament reports to get other perspectives as well. The friendships and memories have meant more than all else. I hope that everybody who took the time to read this article enjoyed learning about the 2004 format and got a great idea of what decks looked like and how they were played. For some of us though, the format brings back a lot of great memories of us being young kids. It’s always been very hard for me to explain to people outside the game how I have friends from all over the world. These are all people that I’ve known for over 10 years and we’ve all grown up together. It always brings a big smile to my face when I see friends from the game graduate college, get married, or have kids because I always think back to these days when we were all just kids who came together doing something we loved. If there is one message I hope to get across to any young players reading this, it is don’t get so wrapped up in the game you forget why you’re really playing it. When you get to be my age (which feels weird saying at 26) it’s not the trophies, the titles, or the victories that matter to you; it’s the memories and the friendships that you built along the way.